A little simple bones boy to start the day off right. 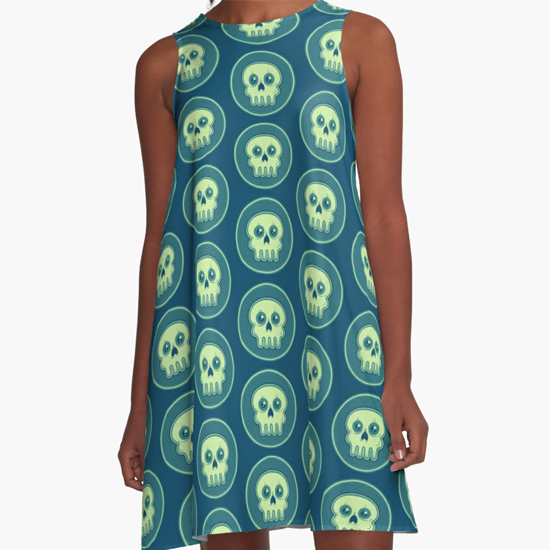 Bag of Bones: a simple design in time for Hallowseve. What a cherubic little skeleton man. Looking at you with those big, squishy skeleton eyes. You want to pinch his skull cheeks. 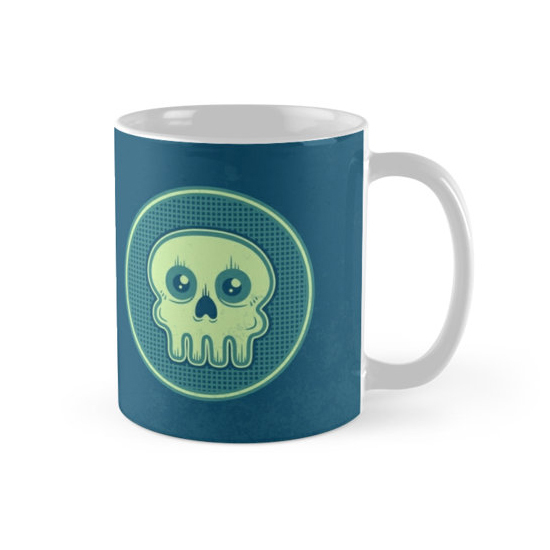 Bag of Bones is going to be a series you can check out on Redbubble. I already have two done. The original is a red, black and white ordeal and it was more built to be a cheesy pattern. I even added a bit of a stylistic element to the back of the circle. The grid effect makes it look like a manhole cover that is housing some bad skeleton dudes. Decomposed ninja turtles anyone? Circle designs tend to work well on t-shirts, I have found. 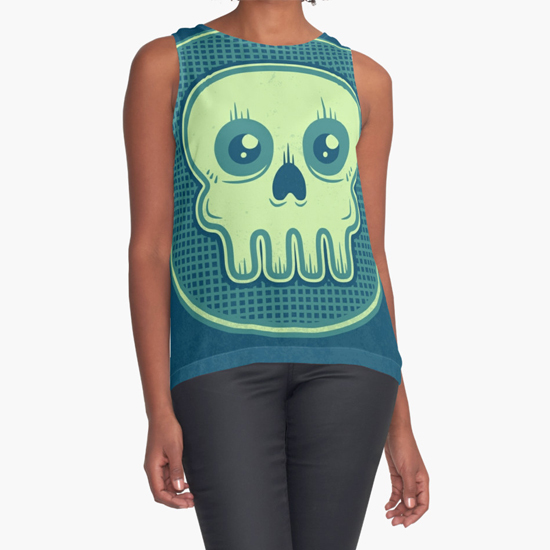 Whether it be the contrast tanks or the chiffon tops, this bones boy represents himself well. Of course the format looks good as stickers, too. 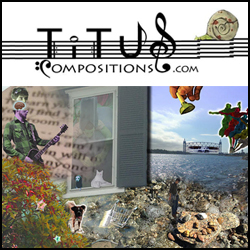 I urge you to check them out. Perhaps this will be a Redbubble exclusive. I haven’t decided yet. I might change my mind tomorrow. Consider this a decompression exercise after the more complicated Magic Dagger drawing. More pixel based drawings on deck. Dragging the stylus around is more therapeutic than dropping anchor points right now. 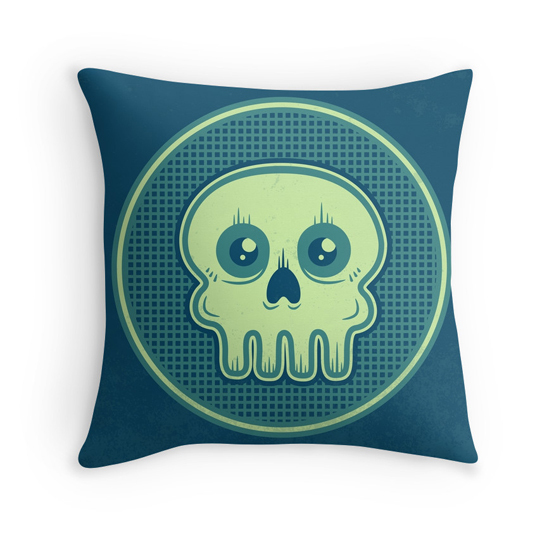 Anyway, check out the original Bag of Bones here, and this sweet blue version here. Don’t be shy now. So far these have gotten a pretty good response. More variants may pop up in the near future, so keep your eyes peeled. 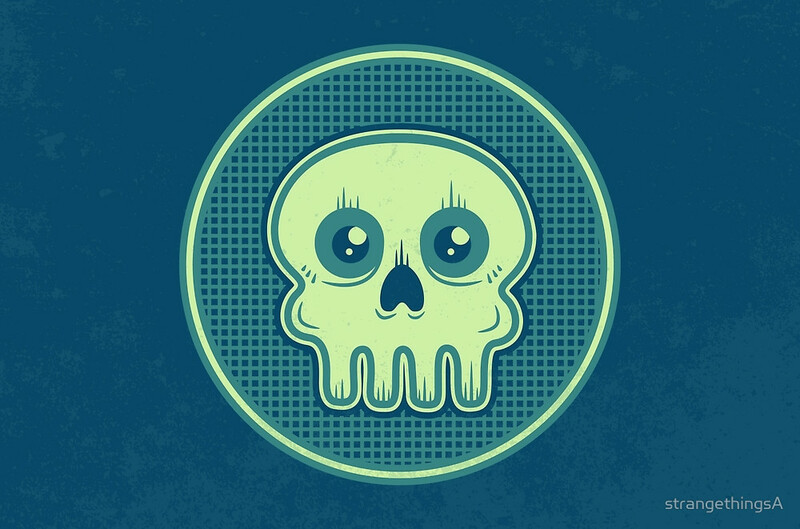 In the meantime, check out the blue variant of Bag of Bones in the slideshow below. You can see a write up on the Magic Dagger later today or tomorrow, too.